Here is Roger Scruton: An apology for thinking, that he has written, for balance. I disagree with him, and last time I checked, it’s still ok to disagree. Intellectuals love him - I get that; I am not a fan of some of his comments. Again, that is allowed. @Roger_Scruton: "Not for the first time I am forced to acknowledge what a mistake it is to address young leftists as though they were responsible human beings." Sadly all too accurate from Roger Scruton. "We are being cowed into abject conformity around a dubious set of official doctrines and told to adopt a world view that we cannot examine for fear of being publicly humiliated by the censors." What is an intelligent and civilized man? Find an example in @Roger_Scruton. Sir @Roger_Scruton's response to the New Statesman libel, and Tory cowardice. blogs.spectator.co.uk/2019/04/roger-… "Not for the first time I am forced to acknowledge what a mistake it is to address young leftists as though they were responsible human beings." Indeed. Roger Scruton: “We are being cowed into abject conformity around a dubious set of official doctrines and told to adopt a world view that we cannot examine for fear of being publicly humiliated by the censors”. Roger Scruton: being homosexual is not normal like having red hair is not normal. If such a view calls into question whether he might discriminate against individuals while unjustly favouring others, then he is rightly dismissed from a public appointment. "Not for the first time I am forced to acknowledge what a mistake it is to address young leftists as though they were responsible human beings." 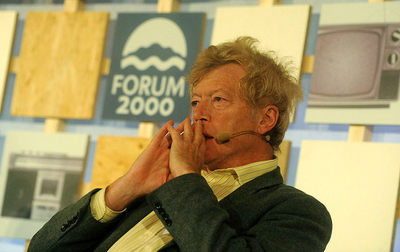 @Roger_Scruton: We in Britain are entering a dangerous social condition in which the direct expression of opinions that conflict – or merely seem to conflict – with a narrow set of orthodoxies is instantly punished by a band of self-appointed vigilantes.